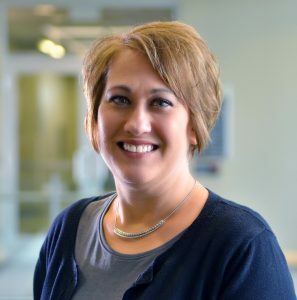 SALT LAKE CITY – Twenty-five-year veteran of the Utah Department of Human Services (DHS), Diane Moore, has been appointed to lead the Division of Child and Family Services (DCFS). New Director of Utah’s Division of Child and Family Services, Diane Moore (pictured), will lead services focused on strengthening families so children can safely thrive in homes free from abuse and neglect. In her new role, Moore will provide leadership in implementing, improving and evaluating DCFS policies and practice; facilitate collaboration and partnership among federal, state and local child and family serving entities and community partners; and represent the Utah Division of Child and Family Services on a federal, state and local level. Moore began her career with DHS 25 years ago as a frontline DCFS caseworker, and ascended through the ranks to become Regional Director of the Salt Lake Valley. For the past three years, Moore has served as the Director of the DHS Office of Licensing, the state agency responsible for licensing and monitoring DHS service providers including foster care homes, mental health and substance use treatment facilities and domestic violence shelters. Moore is a licensed Social Service Worker and received her Master of Public Administration degree from Brigham Young University.